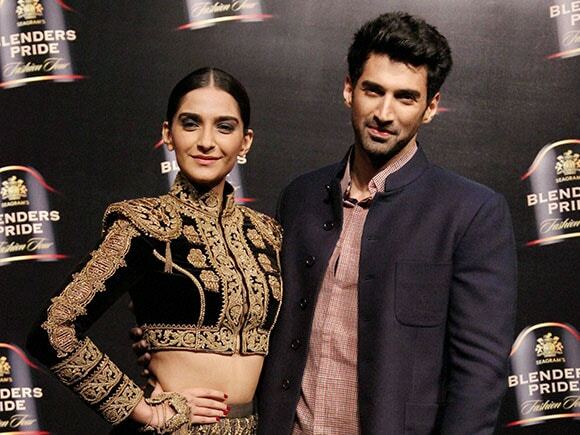 Sonam Kapoor and Aditya Roy Kapur charmed everyone here at the 12th edition of Blenders Pride Fashion Tour, a multi-city event. 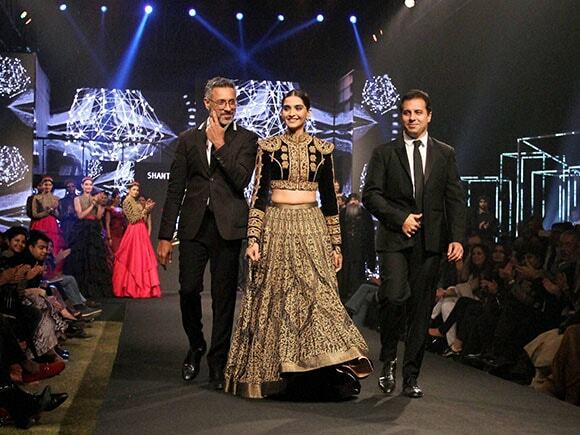 Sonam looked ravishing in a Shantanu & Nikhil design while Aditya Roy Kapoor looked dapper in a Rajesh Pratap Singh ensemble. 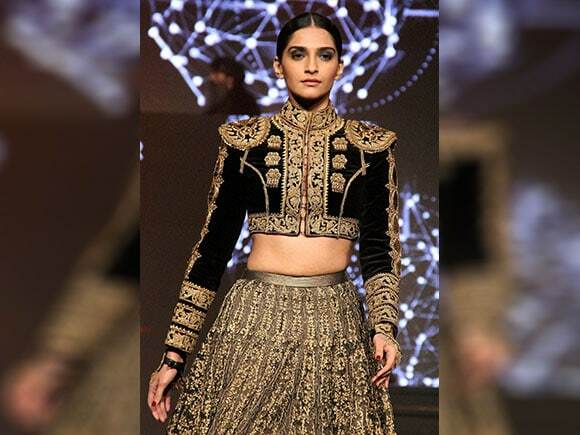 our collection is in every way rebellious and is pure innovative fashion."